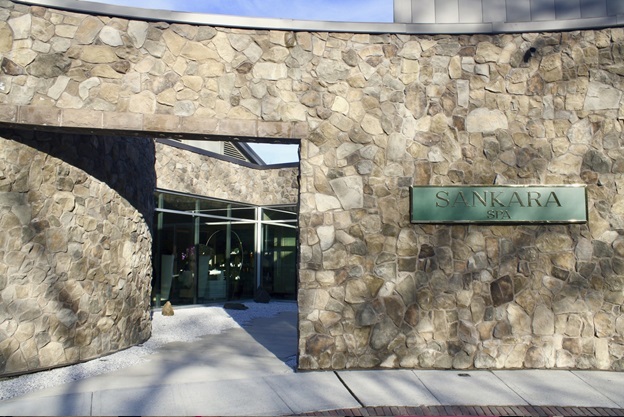 Castle Hotel and Spa in Tarrytown, New York, has announced a rebranding and name change from THANN Sanctuary Spa to Sankara Spa to better reflect its philosophy of providing a luxurious and restorative environment for its guests. “Sankara” is the legal corporate name of the Castle’s ownership. It is an extension of the Sankara Hotel and Spa brand on Yakushima island, Japan – a World Heritage Site (UNESCO) and renown nature preserve. Sankara Spa at the Castle Hotel and Spa strives to evoke the otherworldliness and spiritual awakening by which its namesake enjoys. As part of the rebranding, Sankara Spa will feature Naturopathica, a line of New York-based wellness products which pair botanical ingredients and clean cosmeceuticals to create skin care, body care and herbal remedies that deliver true and lasting results. “In the past, we shipped our products from overseas, but now we’re excited to be sourcing our products locally from New York. Offering products from the local community is not only important to our business, but to many of our customers as well, and it will also help with in-store inventory on our spa’s most popular products,” added Mika Hori. 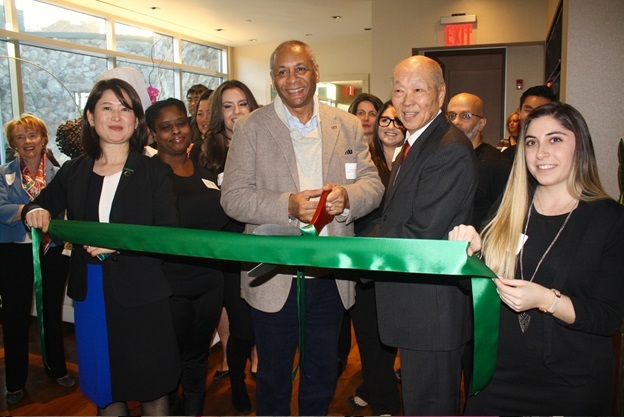 From left, director of operations Mika Hori, Tarrytown’s Deputy Mayor Thomas Butler, general manager Lloyd Nakano and sales and public relations coordinator Chelsea Kirstein cut the ribbon at the rebranded Sankara Spa. Home to Sankara Spa, Castle Hotel and Spa rises majestically atop the highest point in Westchester County, NY, overlooking the historic Hudson River and the distant skyline of Manhattan. The luxury, Forbes 4-star winning hotel is a member of Small Luxury Hotels of the World and Historic Hotels of America. Dominating ten tranquil wooded acres, the Castle offers refinement and luxury coupled with Old-World elegance. Castle Hotel and Spa features 31 elegantly appointed guest rooms and suites, 4,100 square feet of meeting and event space, 24-hour health and fitness center, whirlpool, landscaped jogging paths, and a spectacular outdoor seasonal swimming pool. The renowned Equus restaurant has received Four Diamonds from AAA, a Forbes Travel Guide Four-Star Award in 2015, and was rated “Excellent” by the New York Times. Castle Hotel and Spa is owned and managed by Sankara Hospitality Group, known throughout the world for creating and managing contemporary luxury hotels that are defined by their warm and vibrant personality, and inspired by the spirit of their location. Sankara is passionate in their belief of offering a service that is effortless, personal and genuine, enabling its guests to do the things they value most. For additional information, visit the website at: www.castlehotelandspa.com or call 914.631.1980.